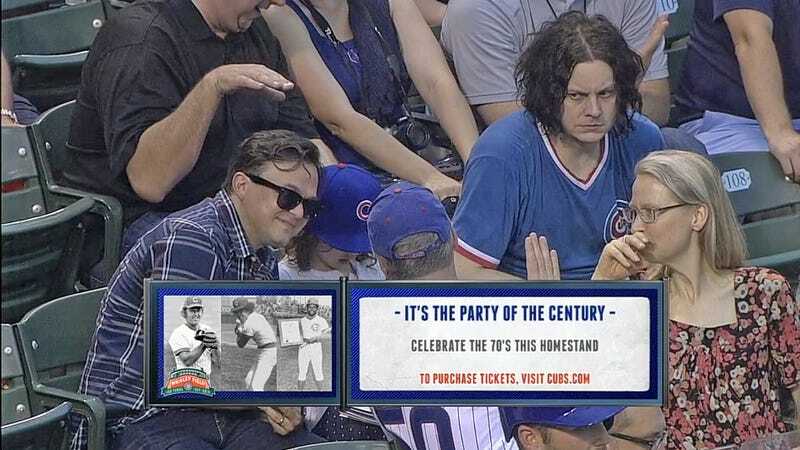 It's the party of the century and Jack White is turned all the way up to 11 for it. "Jack White and the Chicago Cubs Experience" has kind of a nice ring to it for a band name, too. Kind of a throwback to another guitar-driven artist. Anyway, it's much better than "Jack White Is Either Shitting Himself Or Thinking About Patrick Carney," or "The Raconteurs."